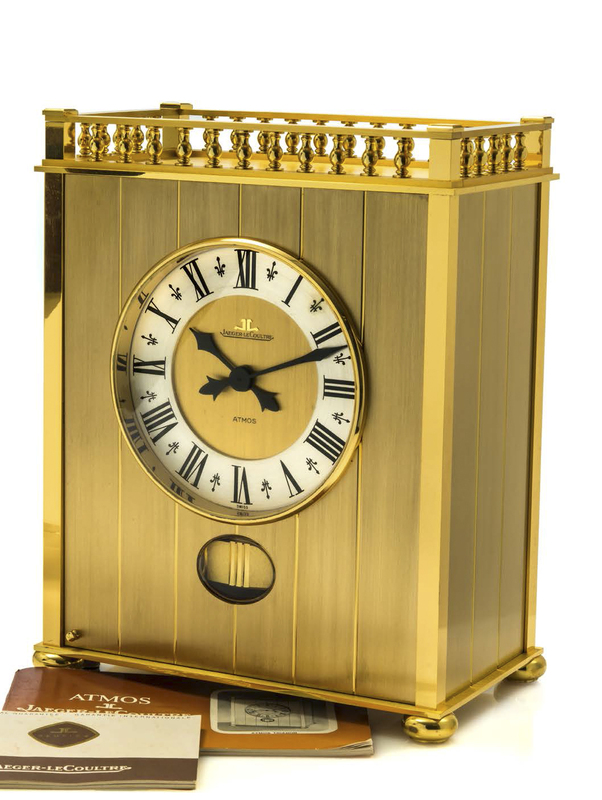 JAEGER-LECOULTRE ATMOS TRIANON REF. 5813 BRASS AND GLASS A fine and rare brass and glass Atmos clock wound by barometric pressure changes. Dimensions 21 x 13 x 26 cm. Accessories Original fitted box, guarantee and instruction booklet. Signed Dial and movement This Trianon ATMOS clock is unique because of the guardrail on the "roof" of the clock.